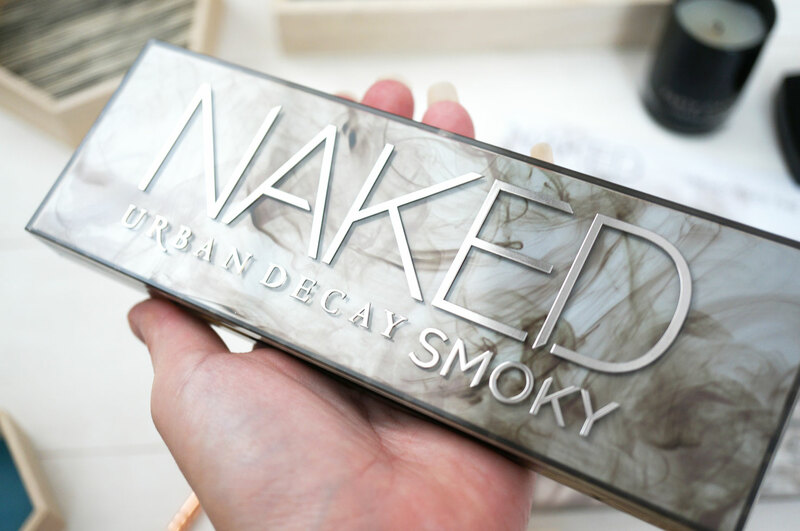 Well Urban Decay have done it again, finally bringing out the latest addition to their Naked range – the much anticipated Naked Smoky Palette. Now this literally has everything I look for in a palette – it includes 12 smoky neutral eyeshadows, with nine never-before-seen shades and three exclusives. The colours range of light to very dark, in matte, shimmer and satin finishes. As well as a double ended brush, full size internal mirror, and even instructions on how to create different looks. It literally contains everything you need to put together a multitude of smoky day and night eyeshadow looks. And the packaging is just EVERYTHING. In my opinion this is easily the best Urban Decay have come up with so far. It’s so unusual, and pretty yet mysterious – the smoky effect on the lid of the case and the metallic, raised lettering really gives the palette a luxury, high end feel. The palette also features a magnetic closure to prevent shadow mishaps, as well as a much appreciated full-size mirror. 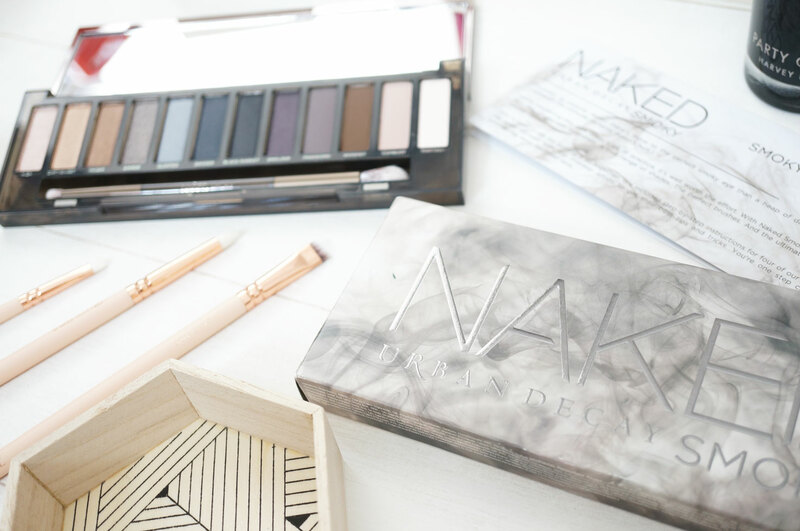 If you’re not so confident at creating a smoky eye, there’s also a really handy detailed look book included, which breaks down four fantastic ways to get Naked and Smoky! 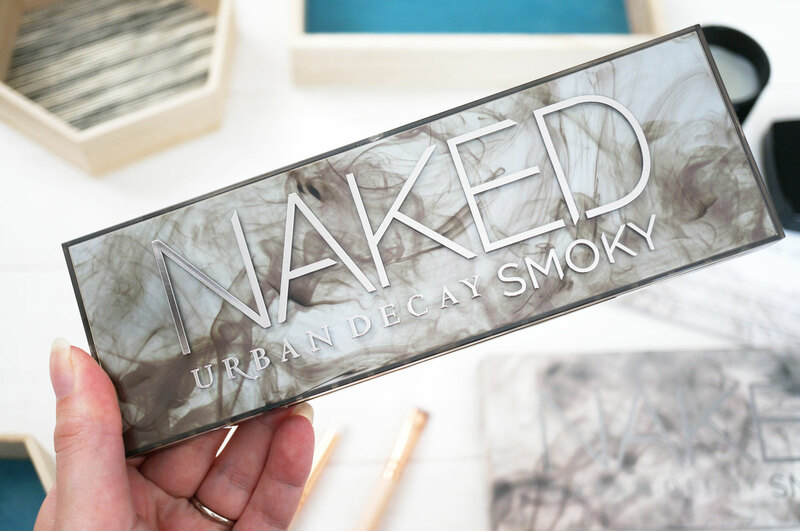 Urban Decay gives you step-by-step instructions for their Iconic UD Smoky Eye, the Smoky Reality Star, the Smoky Cat and Everyday Smoky looks. Also, Urban Decay have included a pretty decent brush too! This double ended brush includes two firm yet flexible heads; the Tapered Crease Brush is perfect to lay down shadow, define the crease or blend out colour. 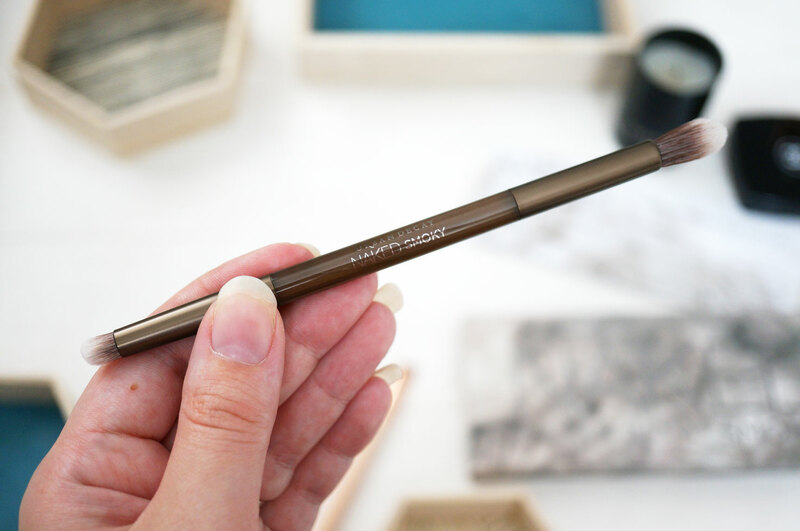 And the Smoky Smudger Brush is great for smudging in shadow and liner, or even highlighting the brow bone. An just look at the shades! I must admit it was love at first sight for me. I love that this palette has such a variety of shades and finishes, to suit all skin tones and looks. I think anyone and everyone would be able to get use out of this palette, no matter your age or style. 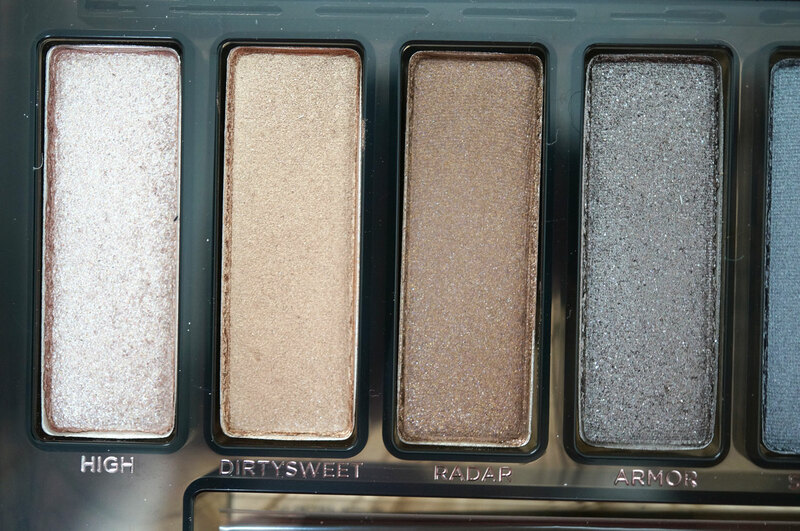 These first four shades all have a super shimmery, almost metallic finish. The colour payoff is outstanding, and they’re all just a dream to use and apply. I think these are definitely my favourites out of the palette! 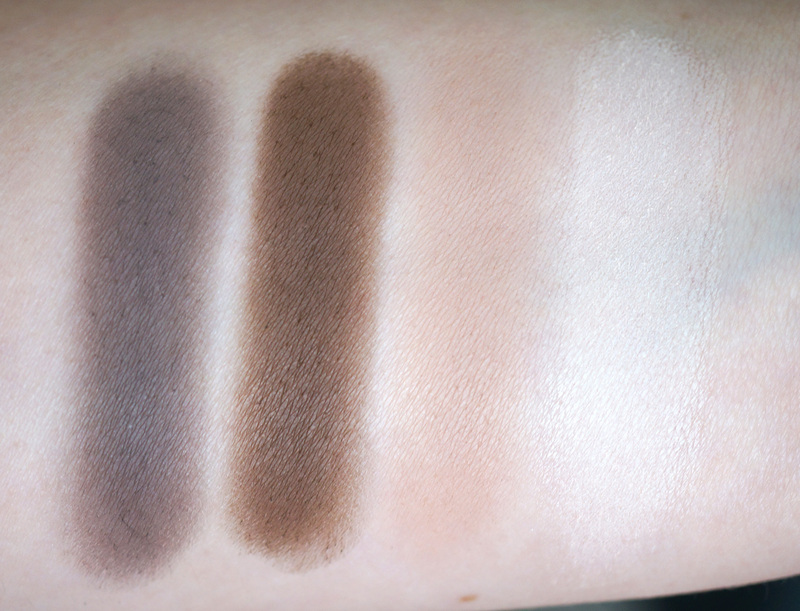 The next four shades are a lot darker, and perfect for an evening smoky eye look. These mostly have satin finishes, and they’re not quite as intense as the shimmers but still very good in terms of pigmentation and ease of application. 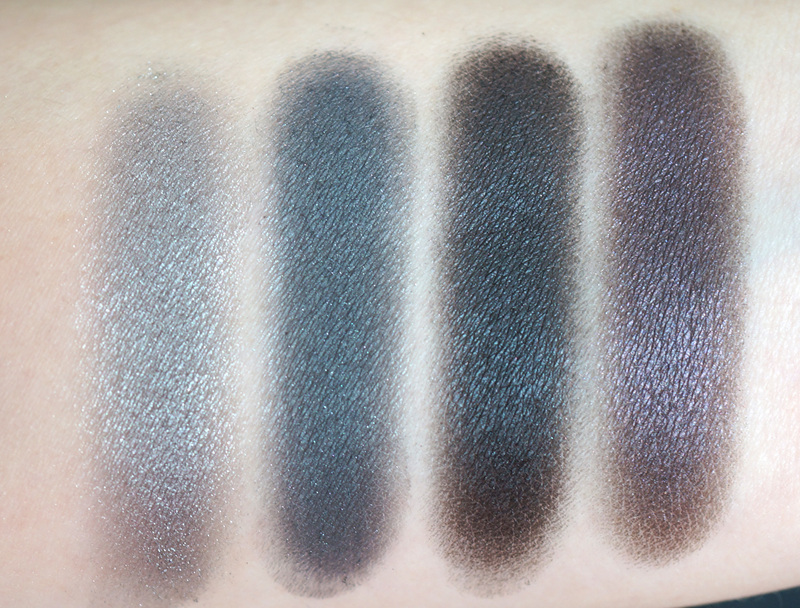 And lastly we have four matte shades, and this set includes the only shade which I didn’t like, which was Combust, second from the right above. The formula of this shade seemed so much stiffer than the rest for some reason, I found it really difficult to work with and hard to get decent colour payoff. Thirteen, on the other hand, which is the lightest shade, was absolutely fantastic. I find really light matte shades usually down’t show up very well at all on my pale skin, but this was just fantastic with amazing pigmentation. Urban Decay says ‘Each shade in Naked Smoky features our Pigment Infusion SystemTM, the proprietary blend of ingredients that gives every shade its velvety texture, rich color, serious staying power and blend ability.’ I’d say this is definitely true for 11 out of the 12 shades, which isn’t bad at all! I really love this palette, and I think it’s probably my favourite out of all the Nakeds, I’d definitely recommend snapping this up! 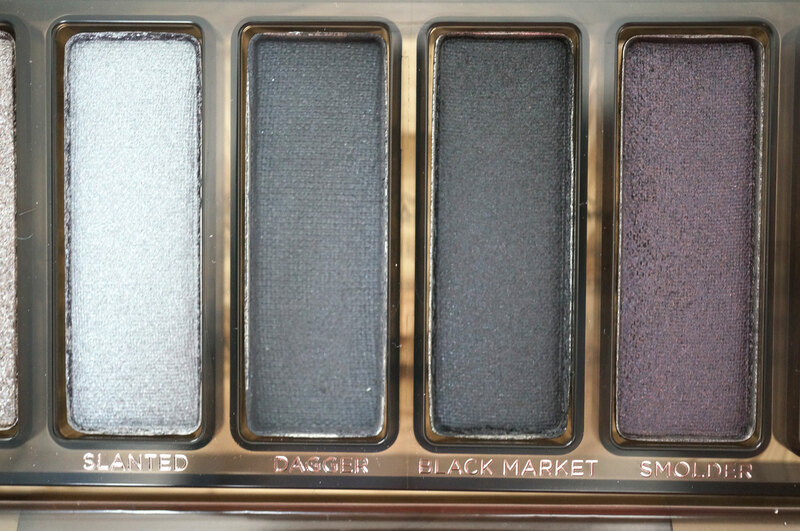 The Naked Smoky Palette is £38 and available online now at House of Fraser. I’m also giving away one of these palettes to one of you lucky readers! Just enter via the Rafflecopter widget below. The giveaway will run for two weeks and is open internationally. As always, please feel free to contact me if you have any questions. Good luck! Next Post We’re Going Camping! great giveaway!It’s an awesome big opportunity for me to win that palette! I’m so desperate to try this palette!! What an incredible giveaway, the winner will be so so lucky ?? Thankyou for the chance! This palette looks amazing!! wow great giveaway, always wanted to buy one of these! This is a fab opportunity! Great that you’re doing this for your followers! I’m sure whoever wins will really appreciate it! The shadows look incredible! Love the variety of shades! Thank for offering us the chance at this amazing palette!! 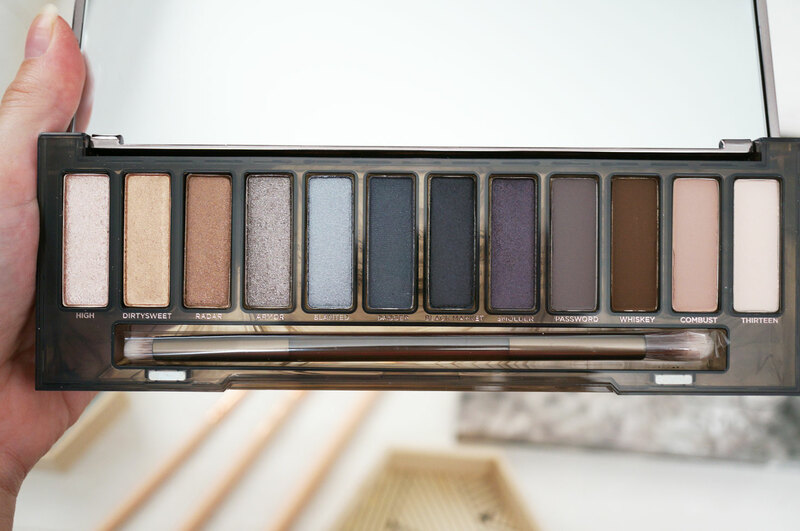 Love the Urban Decay Naked palettes and this one looks amazing, some gorgeous shades. This palette truly excites me! Great review! I have had my eye on this gorgeous new addition to the UD Naked family since it came out. I’m feeling lucky. Thanks for the chance. my hubby said he will buy me this for xmas if i dont win it before then lol. Oh god this looks amazing!! What a gorgeous palette! Thanks for the fantastic giveaway! Hi! 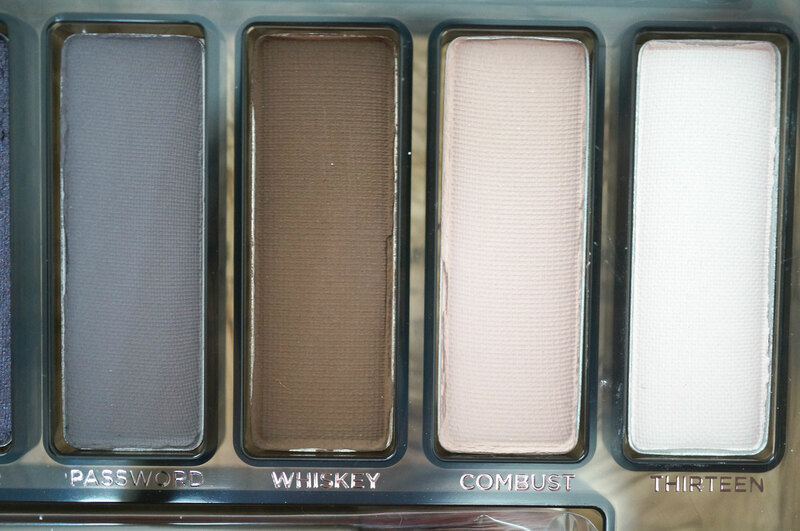 This palette looks fabulous. I’d love to try it! Thank you! I would absolutely love to win this! I love my basics palette and this one just looks gorgeous! oh dear, these are gorgeous… my purse is going to have to come out from hiding. so worth it though! Love Urban Decay, so fingers crossed! Thanks for such a great giveaway! 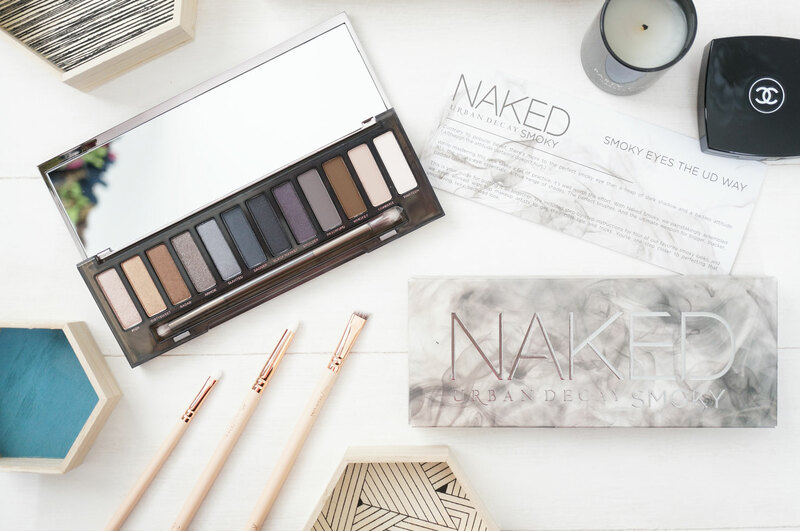 I’ve never tried any of the Urban Decay palettes, so I’d love to win this one! 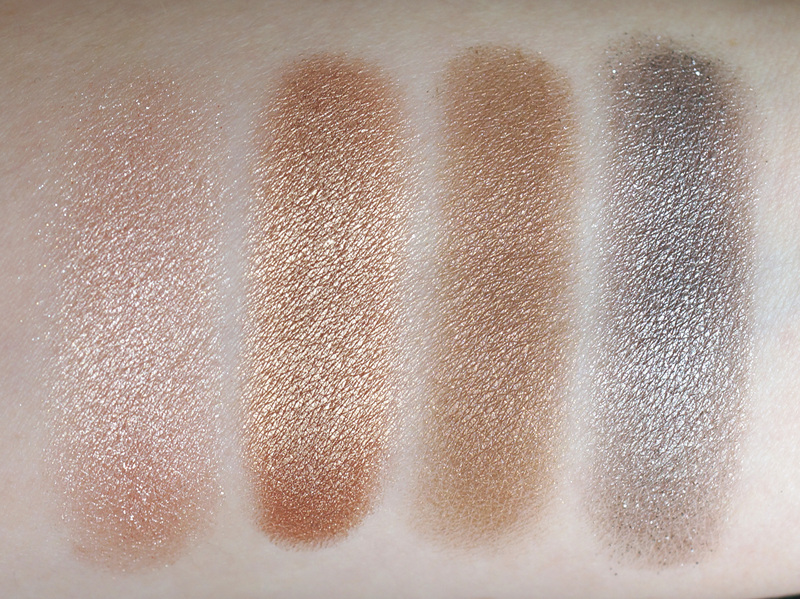 This palette sounds and looks brilliant, thanks for another fabulous giveaway + post!